Comparable image quality to glass yet several pounds lighter and easier to handle, especially at the surface of the water. 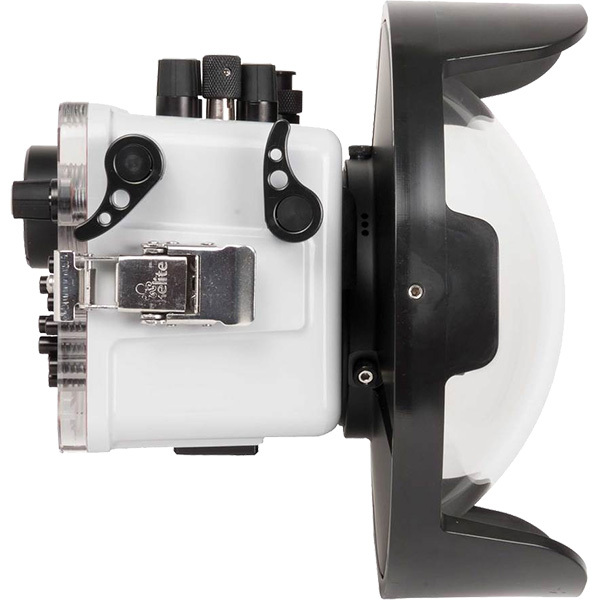 A new acetyl base allows the dome port to attach directly to a compatible housing with DLM port system and weighs only slightly more than our smaller diameter 6" dome ports. 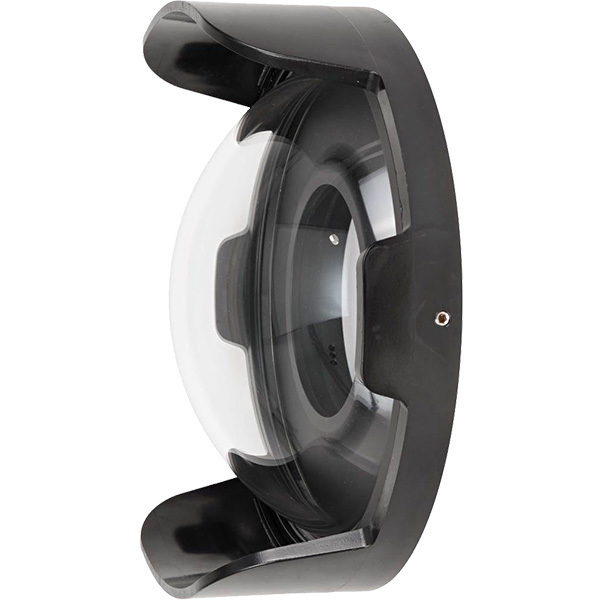 The injection molded acrylic 8" diameter dome is specifically designed for underwater photography to provide superior optical performance. 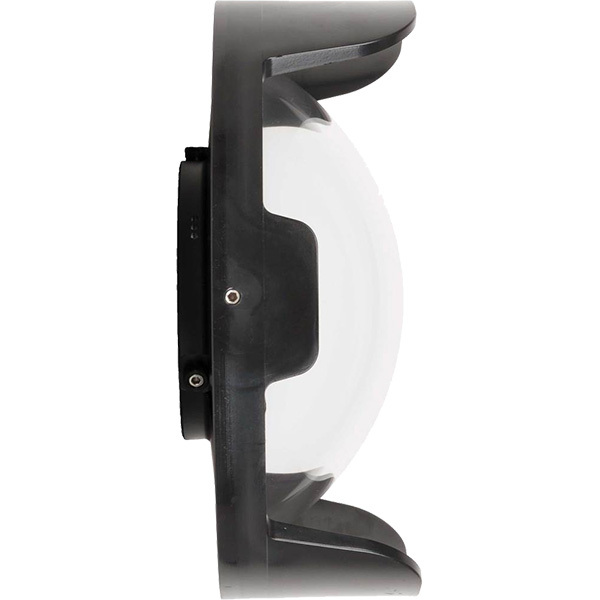 This dome provides image quality virtually indistinguishable from glass yet several pounds lighter and easier to handle, especially at the surface of the water. Compared to smaller 4" and 6" diameter domes, the larger dome reduces edge distortion on pictures taken with certain super-wide angle lenses and makes shooting over-under shots (half-in, half-out of the water) easier. Domes are ideal underwater for shooting wide angle and zoom lenses. If you're shooting a macro lens, we recommend using the a flat port instead. For use with compatible housings featuring DLM/A, DLM/B, and DLM/C port systems. Refer to the appropriate lens port for your housing to determine compatibility. This dome port cannot be used with DL or FL port systems.